The case of Johnson v United States will decide the issue of whether restitution imposed on a criminal defendant is a criminal penalty subject to the requirements of the 6th Amendment to the United States Constitution that the government allege in an indictment and prove beyond a reasonable doubt any fact that increases the severity of criminal sentences, penalties, and punishments. Restitution lawyers in Michigan will know how to turn the tables on the government and give the client the advantage in court. What is Restitution and Why Worry About it? Restitution is ordered by the court as part of a criminal sentence and the intent it to force a convicted person to reimburse the victim for the damages suffered as a result of the convicted person’s actions. Restitution is routinely ordered at sentencing in criminal cases. The reason to be concerned is often the only documents that courts have to set the restitution amount are provided by the prosecutor. It is not hard to believe that a prosecutor or victim will inflate the dollar values to suit their own purposes. Many court’s take the position that restitution is owed for life and jail can be imposed to enforce payment. Restitution is not discharged in bankruptcy. 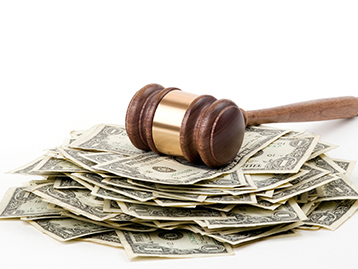 A defendant has the right to contest the amount allegedly owed for restitution. The fact that the restitution amount is disputed must be raised at sentencing or the challenge is considered waived by the defendant. The prosecutor has the burden of proof to show the amount is correct. The standard is by a preponderance of the evidence. Which means that a party has shown that its version of facts, causes, damages, or fault is more likely than not the correct version. This is the lowest level of proof. There is also no right to a jury and the rules of evidence do not apply. It seems like the entire thing is stacked in favor of the prosecutor…..it is. This is why you need the best legal team possible in your corner. The fact that the United States Supreme Court is considering modifying restitution requirements in very pro-defendant. This is a GREAT THING. However, in the meantime, we must be aware of the current law and know that it is extremely important that you have someone on your side protecting you from a runaway restitution award. The elite restitution lawyers in Michigan from LEWIS & DICKSTEIN, P.L.L.C. can help you. Our attorneys will do whatever necessary to make sure that any restitution that is ordered to be paid is the least amount possible. We do not believe in taking the prosecutor’s information and face value. 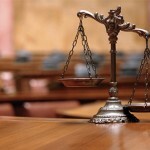 Many attorneys consider restitution a given that cannot be contested. This is not true. With the proper preparation and the proper legal counsel, there is a high likelihood of success at a restitution hearing. LEWIS & DICKSTEIN, P.L.L.C. is proud of its record for success and its reputation for not being afraid to win. Call LEWIS & DICKSTEIN, P.L.L.C. at (248) 263-6800 for a free consultation or complete a Request for Assistance Form and one of our award-winning attorneys will contact you.